A day after Ram Gopal Varma claimed that his relationship with the Bachchans was sacred, Amitabh Bachchan decided to clear the air as well. He denied opting out of RGV's Department due to their reported conflict involving Abhishek Bachchan. 'It is rubbish false and untrue,' he tweeted to a fan. RGV maintained that he was looking forward to working with Amitabh again. 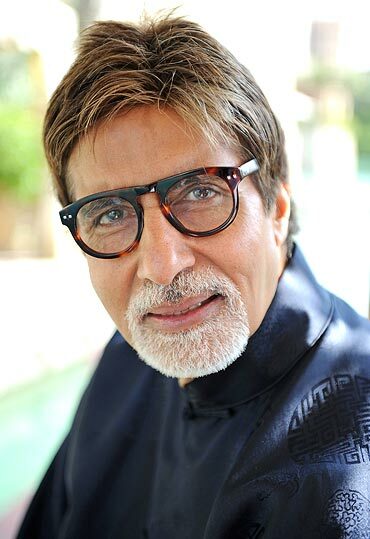 'Am mighty excited bout the role Mr. Bacchan is playing in 'Department'..he's playing a gangster turned politician. Imagine the 'Agneepath' character turning over a new leaf and yet to have the same hard intensity and been there done that knowhow,' he tweeted. Bipasha Basu has started shooting for Players in Murmansk, Russia, and tweeted a picture of herself in the city (left). 'Gorgeous place,Murmansk in Russia!Lucky to travel to these awesome locations!Missing a lot of ppl:(,' she tweeted. We wonder who Bips is missing! 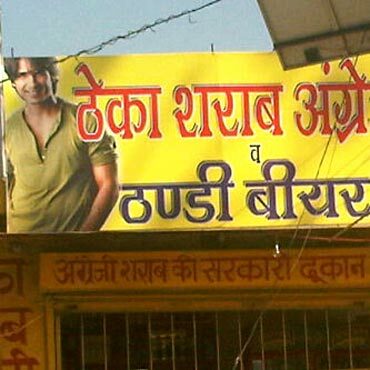 Shahid Kapoor, who was on his way to the sets of Mausam, caught his photograph on a hoarding, and posted it on twitter (left). 'N ya that's apparently my latest endorsement haha,' the actor tweeted. Co-star Sonam Kapoor, on the other hand, shared a picture with her makeup artiste, Vikram Gaewad. 'He did my make up for delhi six and now mausum.. Brilliant at his craft,' she tweeted.